It is my great pleasure to welcome you to YARCC website. Youth Action for Regional Coherence and Cooperation (YARCC) is a regional cooperation project between four Black Sea Basin countries (Armenia, Bulgaria, Georgia, Turkey) co-financed by the European Commission through the European Neighbourhood and Partnership Instrument. Led by Heifer Armenia, the Action is a coordinated partnership effort involving IDP Women Association "Consent" from Georgia, Varna Economic Development Agency from Bulgaria and Gumushane Provincial National Education Directorate from Turkey. 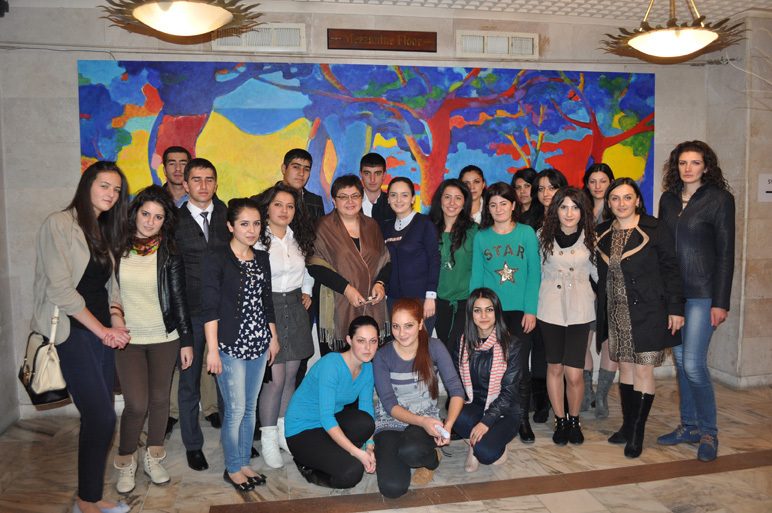 YARCC trains more than 2,000 young individuals in each of the partner countries on Shared Values and Healthy Debating. The project contributes to enhanced relations among regional youth for better sharing of cultural values of the different regions in the Black Sea Basin and increased education on core values of the EU. Also an extended regional network of 40 Youth Centres/Clubs is created which will continue to build awareness and appreciation on fundamental values of EU and the rich cultural diversity in the Basin and enable youth to participate in healthy discussions and debates with their regional peers. On behalf of our regional partners, I once again stress our commitment to promote regional cooperation and coherence in Basin and beyond. Our activities presented here give evidence of our continued effort to plant seeds of trust, respect and love which hopefully will bring forth a rich harvest for generations to come. We are particularly grateful to the leadership and staff of the Joint Managing Authority (JMA) of the Black Sea Basin Joint Operational Programme that is operated by the Romanian Ministry of Regional Development and Public Administration, for their understanding and continued support. Please browse through the pages of the website and participate in sharing of ideas and discussions. Overall objective:Contribute to regional partnerships and cooperation towards a common cultural environment where common values and the richness of Europe’s cultural diversity are shared and valued. Specific Objective: Enhanced relations among regional youth for better sharing of cultural values of different regions in the Black Sea Basin and increased youth education on the core values of the EU. Up to 40 Youth Centers/Clubs (YCs) in the target countries of the region, directly covering more than 2,300 youth from both urban and rural areas of the joint Action partner countries. The final beneficiaries of the joint Action will be young people aged between 18 – 28 years in the target countries/regions who will recieve peer to peer trainings and have the possibility to build productive relations with youth across Black Sea Basin region. Estimated number of the Action’s final beneficiaries is up to 8,000 young individuals.